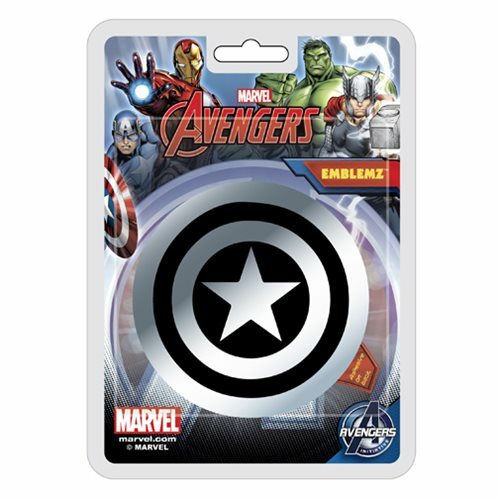 Show your allegiance to Captain America by proudly displaying his shield! The adhesive backing on this black-and-silver Captain America Shield Injection-Molded Emblem lets you attach it to your car, or just about any flat surface. Ages 14 and up.